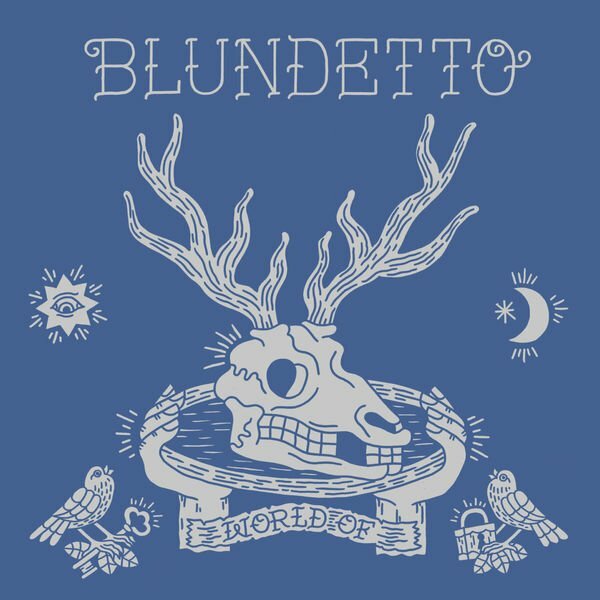 Radio jockey and producer Blundetto has dropped a new album, an unusual and unique set full of sonic surprises and imaginative arrangements and instruments. It presents a cocktail of low-key instrumental tracks and laid-back vocal cuts featuring talents such as Biga Ranx, Jahdan Blakkamoore, Marina P, John Milk and Pupa Jim. World of is melancholic, earthly and atmospheric. Sometimes it leans towards electro lounge music and sometimes it’s more reggae-oriented, like Biga Ranx’ airy Above the Water, Marina P’s elegant Last Broken Bones, a track custom-made for a blunted jazz club in Paris, or Jahdan Blakkamoore’s stylish Work. This set is not your ordinary reggae album and Blundetto is not afraid of thinking out of the box. French producer Taggy Matcher is, along with Bost & Bim, Jstar and Jr Blender, one of my favorite remixers when it comes to mashing hip-hop, soul and funk with reggae, sometimes as mash-ups, sometimes as straight cover versions. Stix Records has now collected a few of Taggy Matchers productions on a great vintage-styled album, a set that looks and sounds like it was made in the 70s. Disco Reggae collects nine tracks from Taggy Matcher, The Dynamics, Blundetto, Grandmagneto, 7 Samurai and John Milk. These artists all share a love for working in the best spirit of 70s funky reggae. The set features classic tunes by the likes of Herbie Hancock, The Commodores, The Sugarhill Gang, Madonna, Justin Timberlake, Curtis Mayfield, The O’Jays and Harry Nilsson. All served up as dub-infused numbers with lots of discofied funky elements. Disco Reggae is certainly reggae with a twist. The versions are innovative and creative, but it’s hard, probably impossible, to make a song like Move On Up even better than the original.